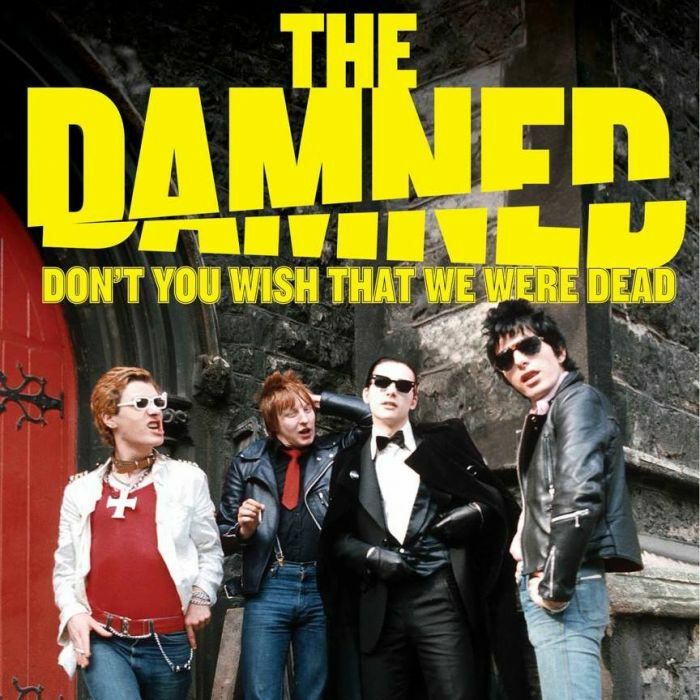 The Damned: Don’t You Wish That We Were Dead is the new documentary by Wes Orshoski who brought us the Lemmy doc in 2010, Getintothis’ Del Pike went along to the screening at FACT. As predicted in our preview earlier this month, the film’s focus is most definitely on why this most original of punk bands never quite reached the iconic heights of The Pistols and The Clash. The title suggests that the simple answer could be that no-one died, but of course it is more complex than that. As the story unfolds we learn from Orshoski’s fly on the wall approach that The Damned are far from wealthy, which goes some way to highlight their recurring ability of missing the boat in life. Another theme that is played upon frequently is the tension between band members, particularly between Captain Sensible and drummer, Rat Scabies. It is these tensions that seem to keep the band from maintaining any kind of momentum and success, and we get the impression that between the many break ups and reunions, they simply spend ,spend, spend, then reform when the piggy bank runs dry. The film is nowhere near as bleak as it sounds however and Sensible in particular comes across as a natural comedian and the heart of the band, unlike the reclusive Vanian who is prone to disappearing before shows, this being the subject of an amusing sequence in the film. There is of course the music too which made us want to go and dig out their old albums. Live versions of the brilliant Love Song and Neat Neat Neat still sound just incredible. Whilst the film offers a great deal for both the die-hard Damned fan and the casual listener, it does sag in the middle, and this is not helped by the film’s non-linear approach. Orshoski has set out to answer a fair few questions, but the structure of the film; leaping from one seemingly random scenario to the next does not allow the questions to be fully addressed. In Orshoski’s Q&A at tonight’s FACT screening, the amiable director discussed how hard it was to select stories and leave out events and that dilemma is often apparent in the final film, leaving some element of disorientation for the audience. He admitted that before making the film he was no fan and had only listened to maybe three songs and it is apparent when watching the film that he is learning the story at times. It is worth noting that this is very much an auteur piece and as writer, director, cameraman and producer; Orshoski explained tonight, he shot the whole film on just one hand held camera, bar a couple of performance sequences where he enlisted a couple more. This is a real achievement. That said, the film is hugely entertaining on the whole, just don’t expect too many answers. It might be better to work it out for yourselves.